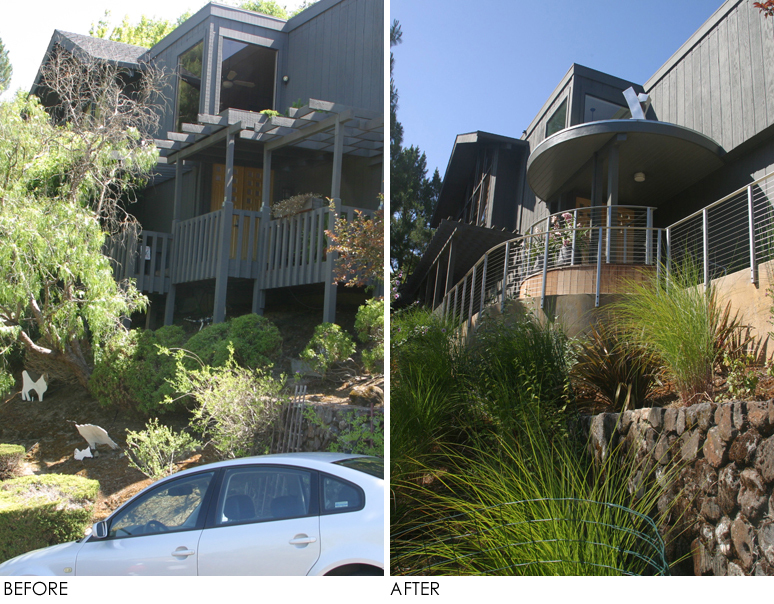 A new entry for a private residence was commissioned in 2006 to replace an old wooden walkway that was slowly rotting and slipping down the slope. The design of architectural walls, canopy, entry and plantings were the responsibility of our office. 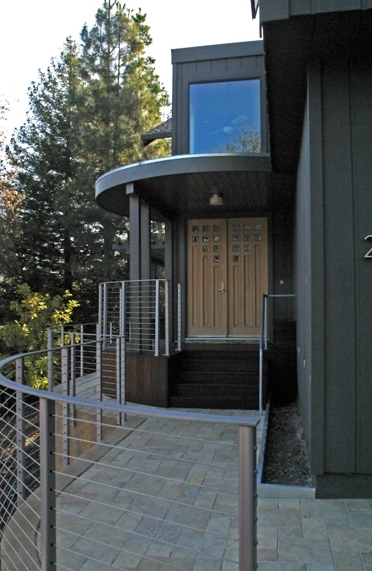 Structural engineering was done by Andersson/Woodrow Structural engineers. 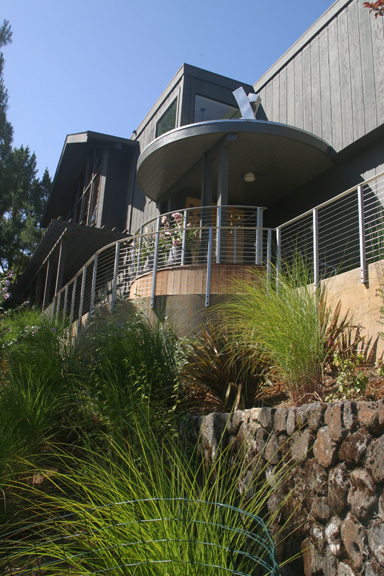 Roth/LaMotte worked closely with the clients to create a safe, new, modern entry to reflect the tastes of the owners, while responding to a challenging site with a steep slope and poor soil. The new entry gives room for the placement of their outdoor sculpture as well as working with new and existing plants to create a vibrant planted slope.